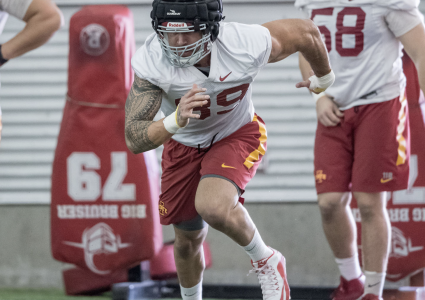 AMES — Joel Lanning has continued to impress the Iowa State coaching staff since moving from quarterback to mike linebacker at the start for spring practice. 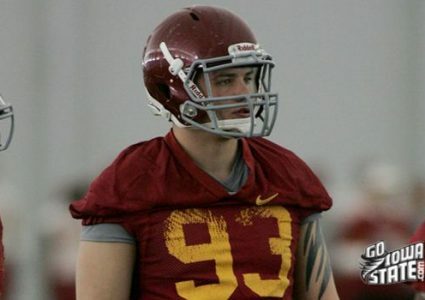 After spending his first four years at Iowa State on the offensive side of the ball, the Ankeny native brings a unique perspective to the middle of the Cyclones’ defensive unit. It is that perspective, coupled with some serious athleticism, that has helped Lanning solidify his position atop the depth chart. There is no questioning the redshirt senior’s leadership after he was elected a co-captain by his teammates before last season. Despite losing his job as the starting signal-caller after nine games, Lanning’s presence as one of the team’s leaders never wavered. Those leadership qualities are possibly best represented in the way Lanning has willingly moved to the other side of the football and jumped straight into improving himself as a linebacker. There are obviously still things Lanning needs to pick up on at the position as spring comes to a close and the summer months commence. Jumping from one side of the ball to the other isn’t as simple as just deciding to make the move. With that said, it doesn’t seem like the coaching staff is overly concerned with the amount of progress Lanning still needs to make before next season. 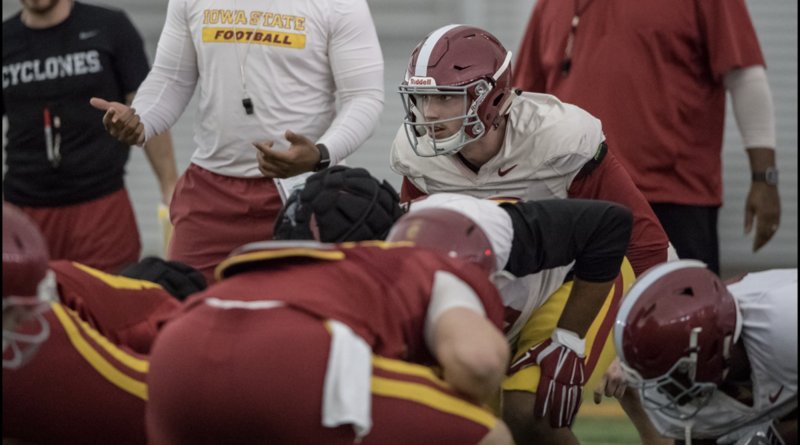 If the past is any indication, he will attack the summer and fall camp with a tenacity that puts him in a position to have success when the lights turn on at Jack Trice Stadium next fall. SPRING FOOTBALL: How are JUCO D-Linemen progressing?